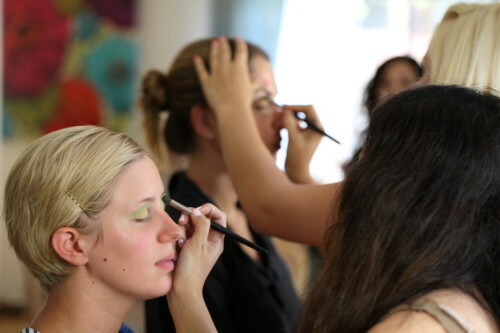 Our Florida makeup school certifies makeup artists in Miami, Orlando and all of Florida in all facets of makeup artistry. Students come from around the world to be trained under Los Angeles based celebrity makeup artist Kimberley Bosso. Get certified in makeup in less than a week with Celebrity Makeup Artist Kimberley Bosso and her exclusive makeup course in Miami!! Students travel from around the world to South Florida to be exclusively trained in this one of a kind makeup course with only a maximum of 4 students per class instructed by Celebrity Makeup Artist Kimberley Bosso.